Proview was once a top CRT display maker and even dabbled in making iMac knockoffs. Now, perhaps the only thing people will remember the company for is their partially successful attempt to extort $400 million from Apple for the rights to iPad trademark in China. The story goes like this: Proview Taiwan sold the iPad trademark to an Apple through intermediary in 2009, a deal that the Cupertino believed gave them the global naming rights. For its part, after learning that they had unwittingly sold the iPad trademark through a proxy to Apple, Proview sought to block sales of the iPad in Chinese courts, which to the company’s chagrin didn’t happen. 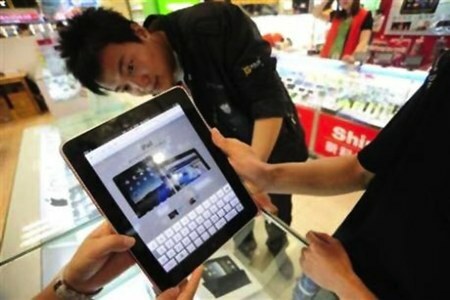 However, Chinese courts did agree that the iPad trademark hadn’t been legally transferred, leaving Apple in legal limbo. At the same time, Proview was in bankruptcy and desperately seeking to stave off creditors, which were seeking the company’s assets in court. Something had to give. Now, according to the Sacramento Bee (AP), the Guangdong High People’s Court has announced settlement of the issue. Although the final $60 million price tag Apple, which has more than $100 billion in liquid assets, will pay for the iPad name in China isn’t exactly chicken feed, Proview had sought $400 million in order to pay off its creditors in full. Now, Apple gets undisputed rights to the iPad trademark in China and, one assumes, the now defanged Proview gets chewed into bits by its creditors.